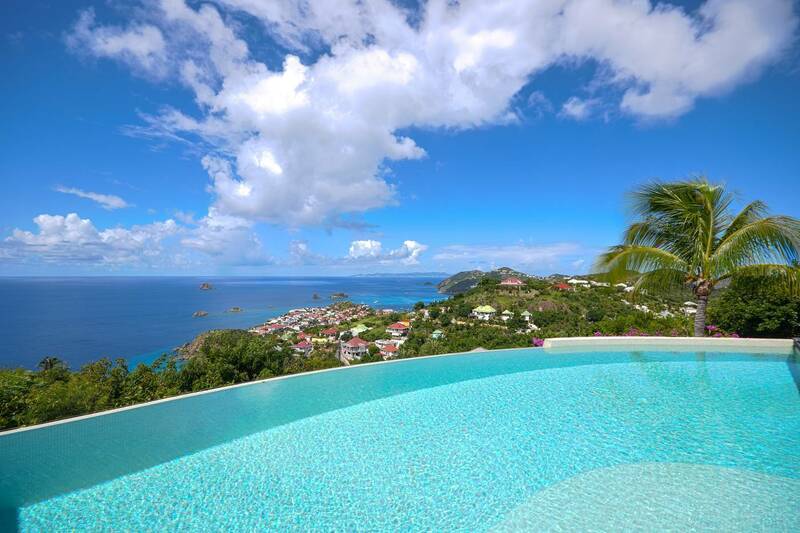 Dream About: Overlooking Gustavia, its iconic red roofs and its harbor, from your terrace. 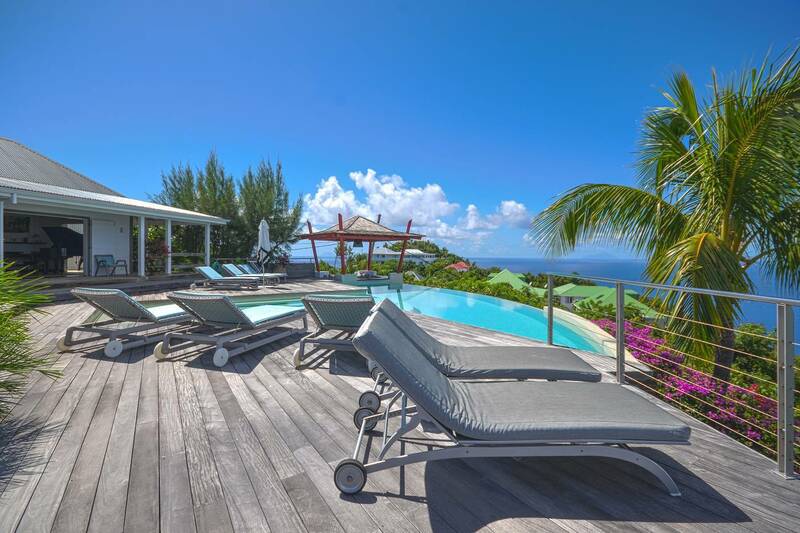 Hillside in Lurin and overlooking the harbor and the islands beyond, this 4 bedroom villa boasts a big-and-beautiful swimming pool. 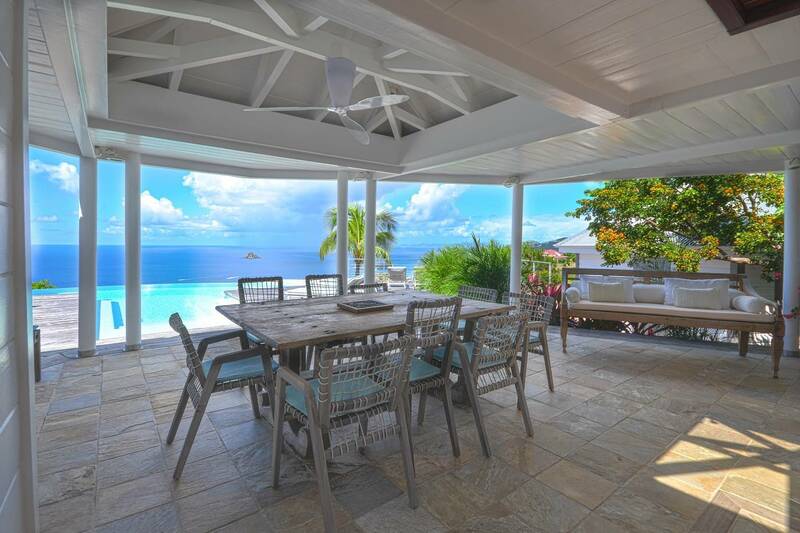 It’s the focal point of the outdoor space which includes a deck, a covered dining terrace and a gazebo with a wet bar – perfect for shaking up cocktails to toast the gorgeous sunsets. 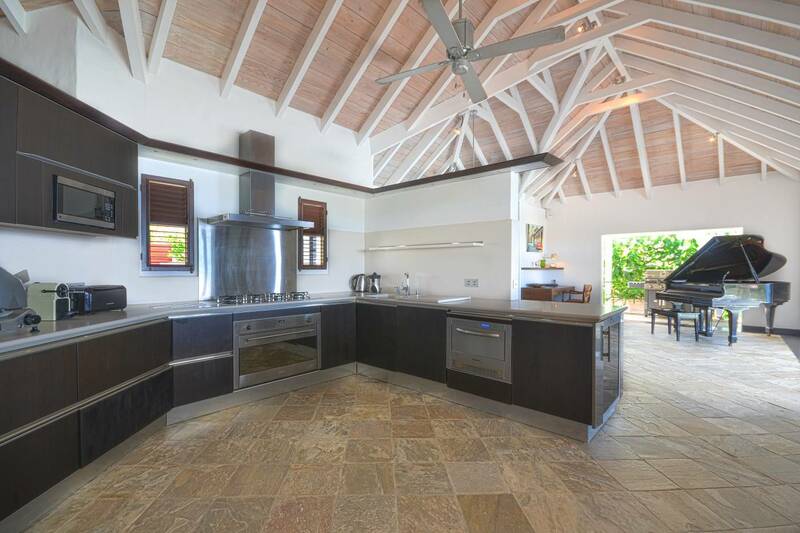 A gourmet kitchen encourages cooking in – and poolside dinners. 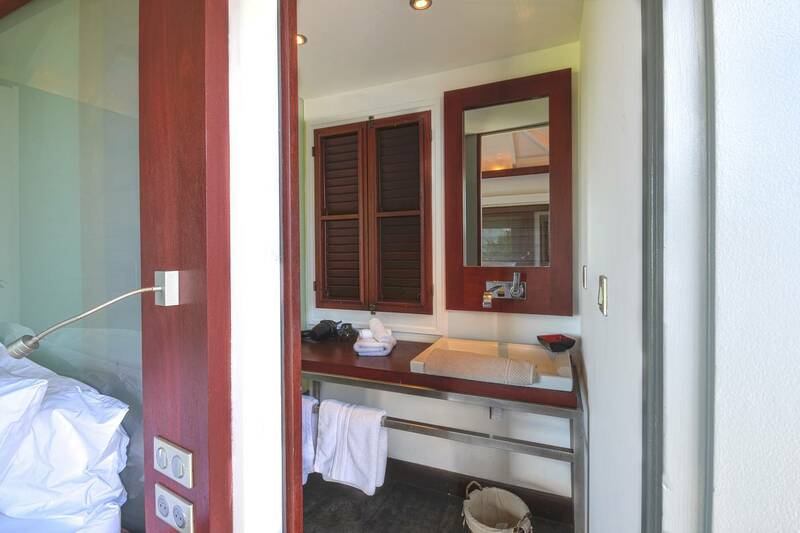 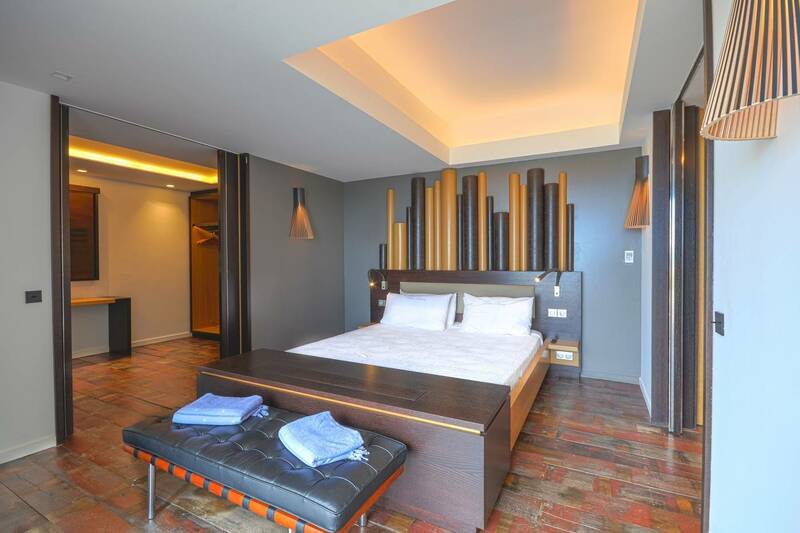 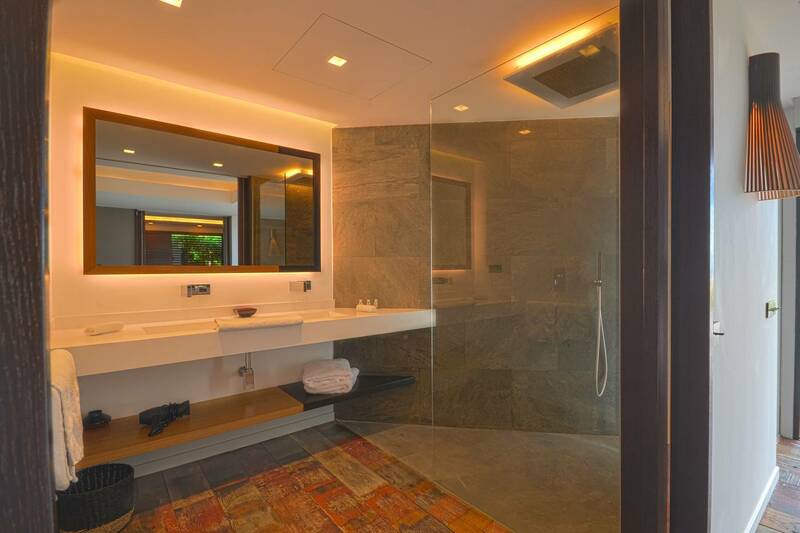 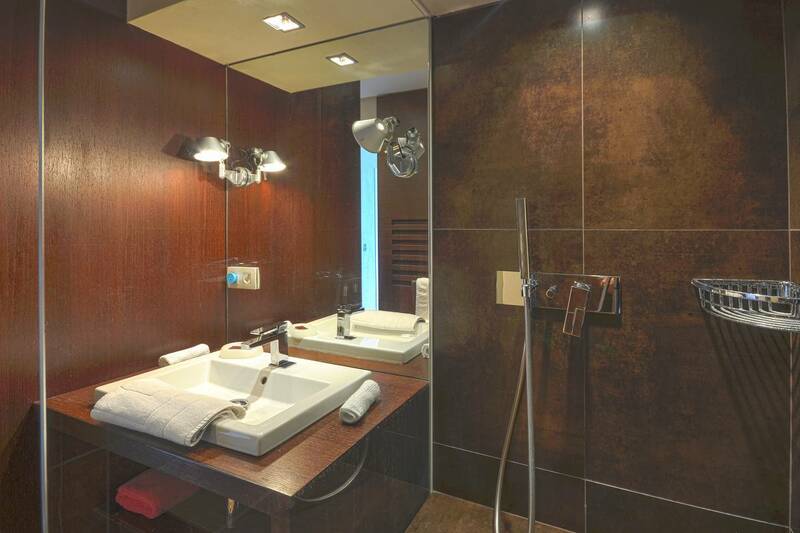 All four bedrooms (a king and three queens) have baths en suite (there is also a guest bath). 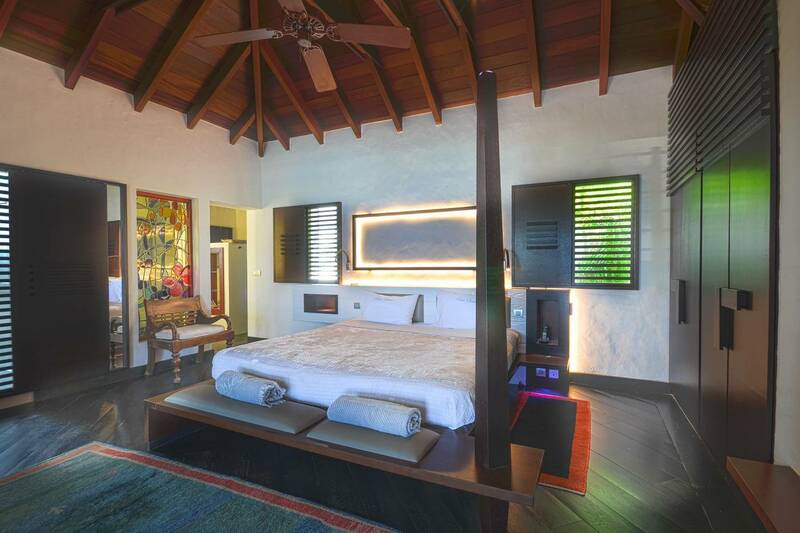 The (king) bedroom is in a separate pavilion on the main level, another one is on the lower level and two are in separate poolside pavilions. 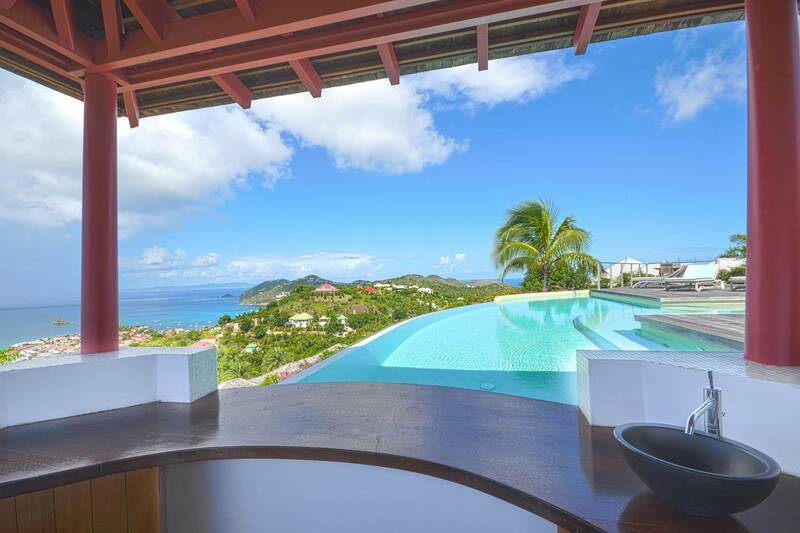 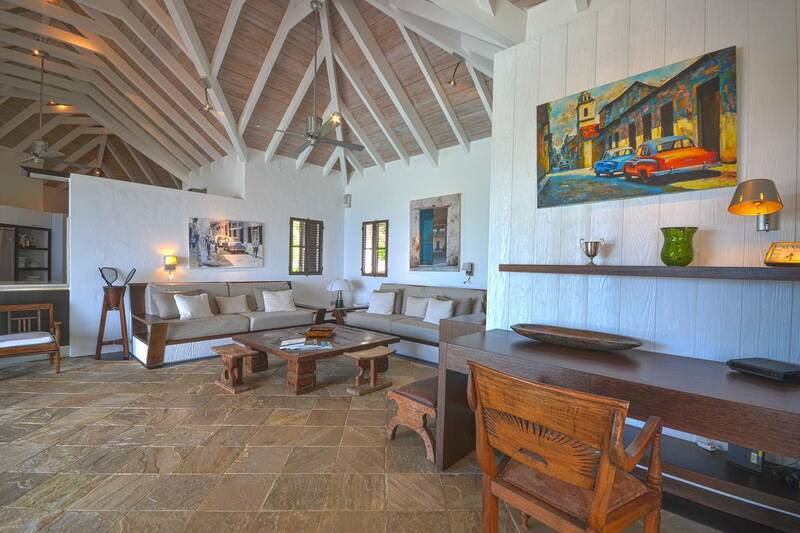 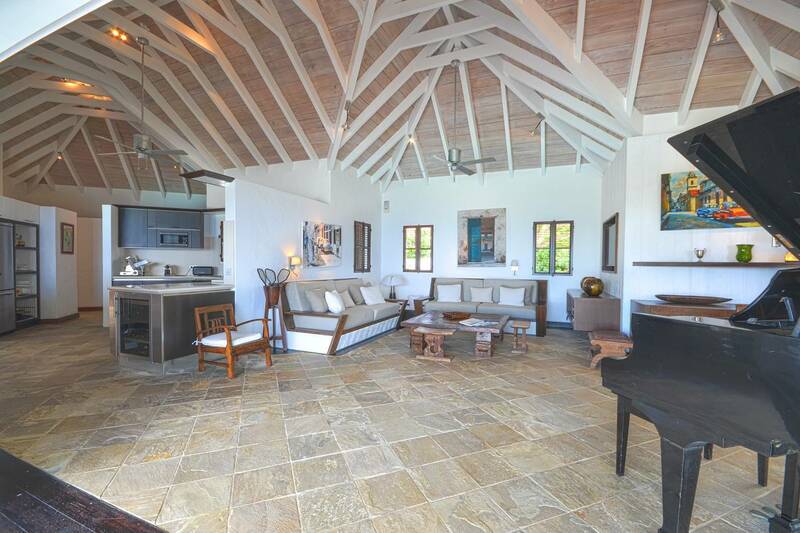 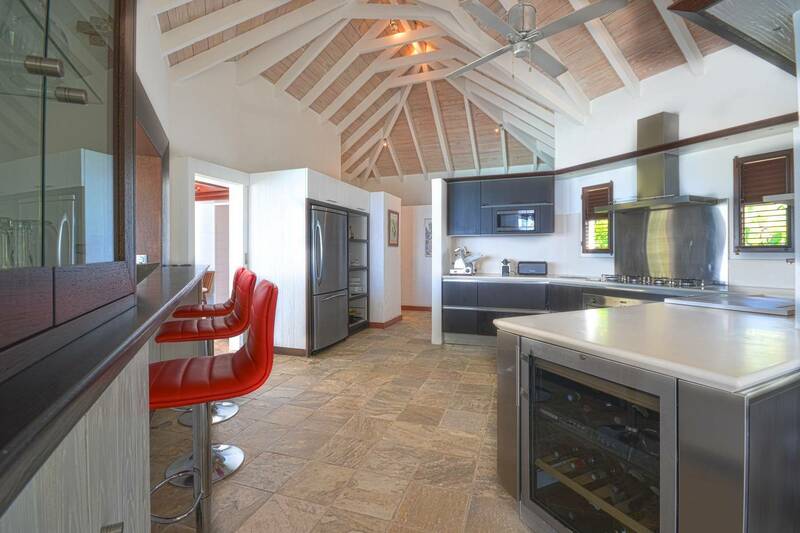 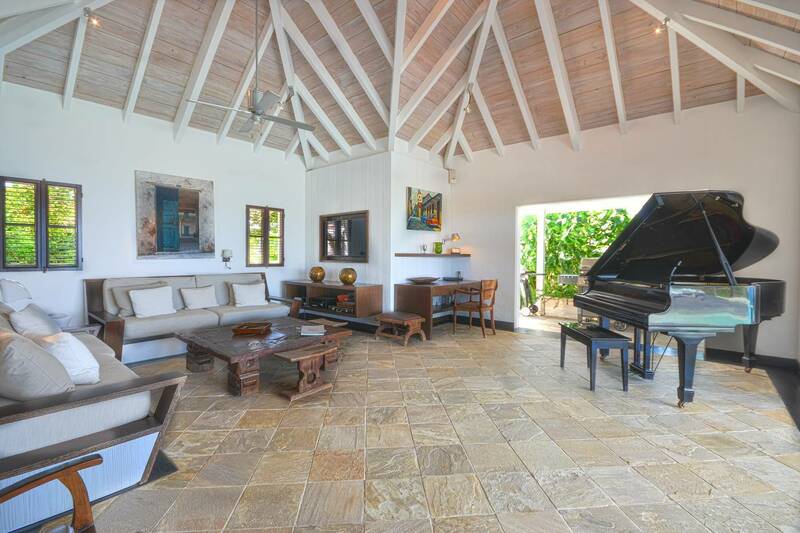 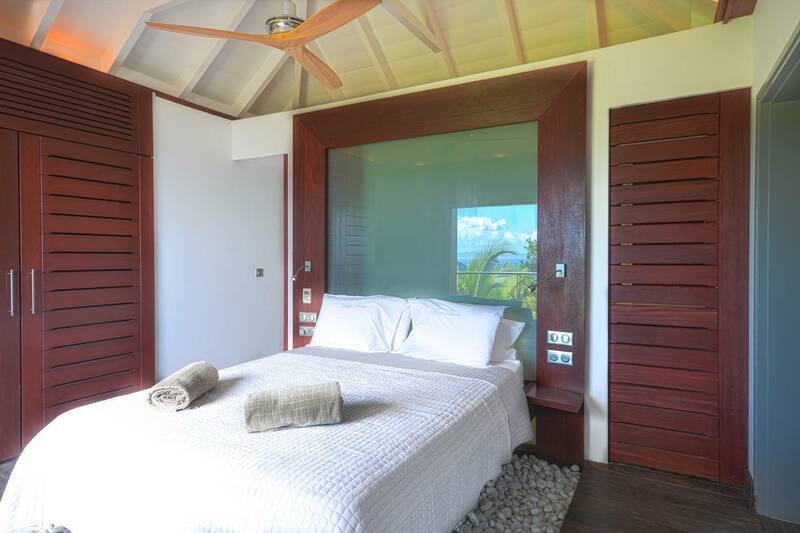 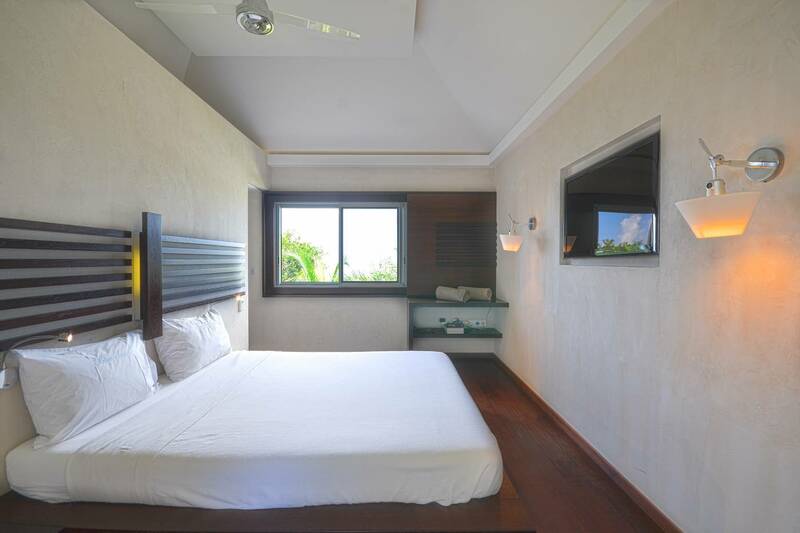 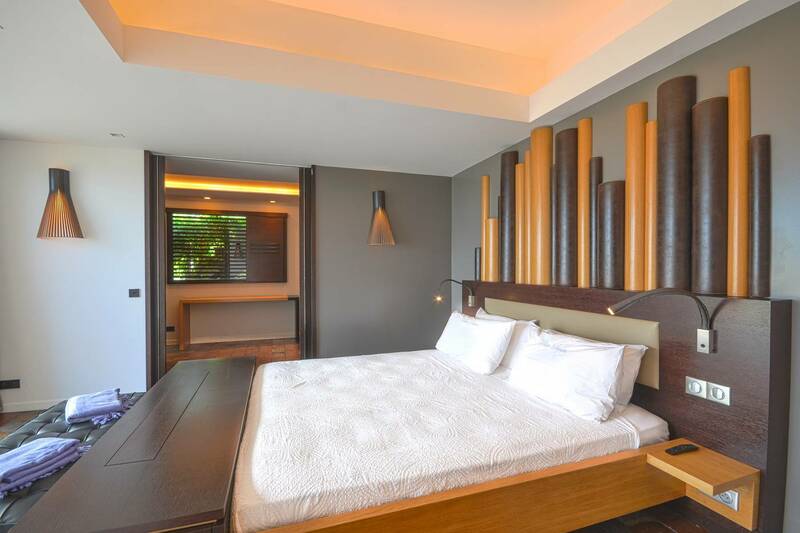 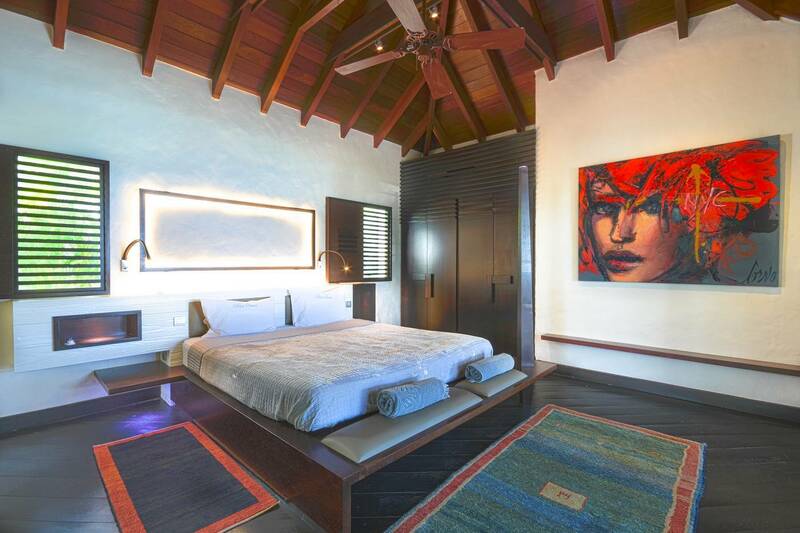 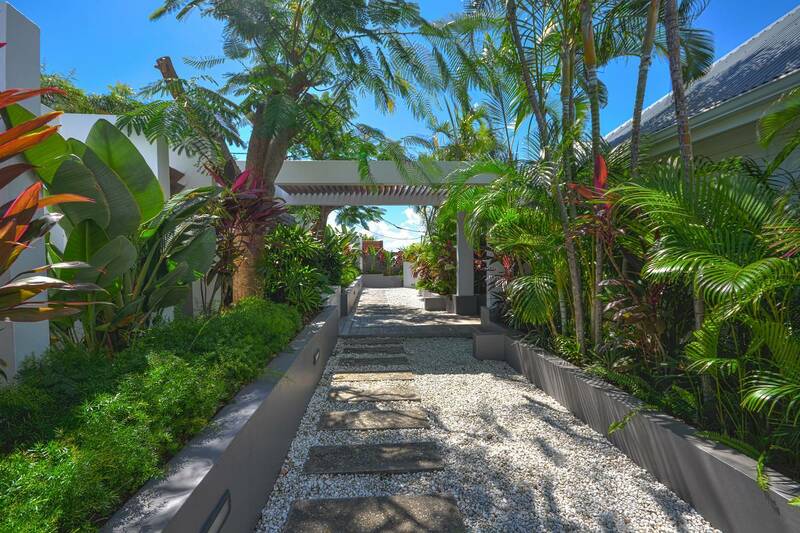 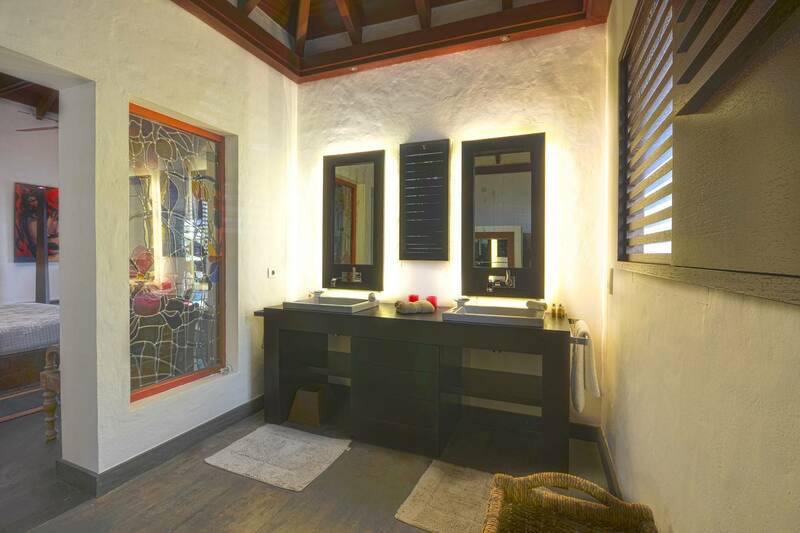 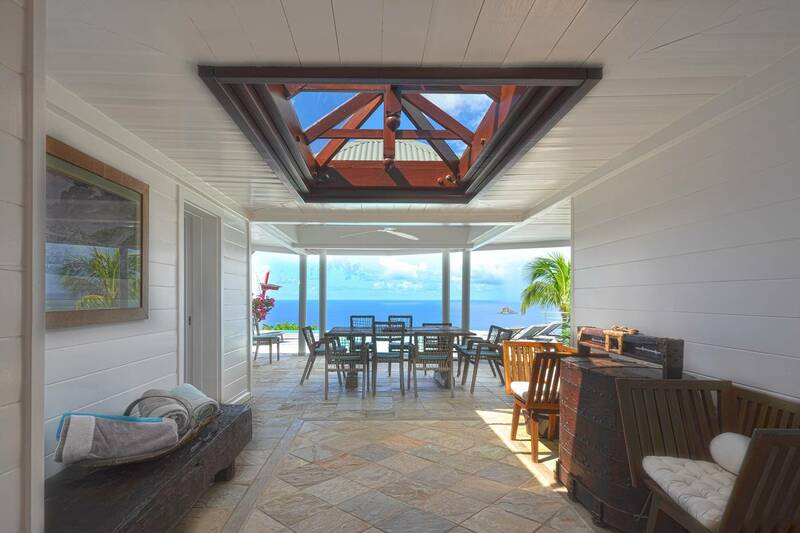 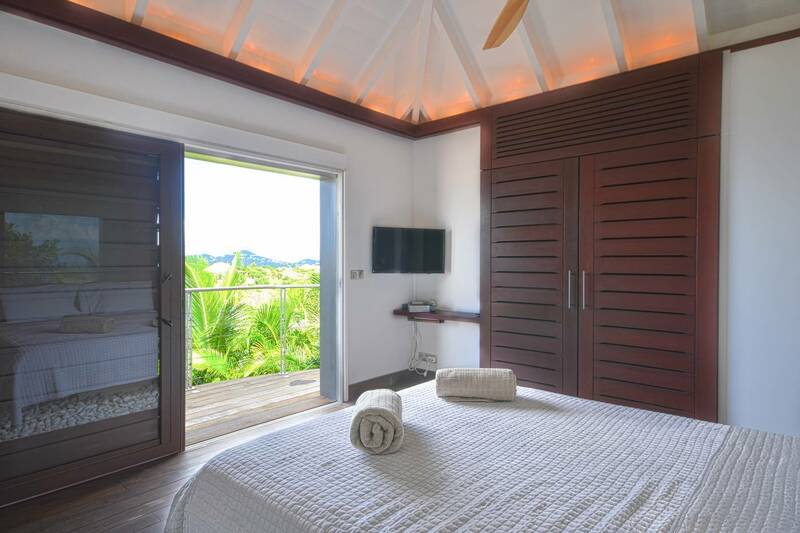 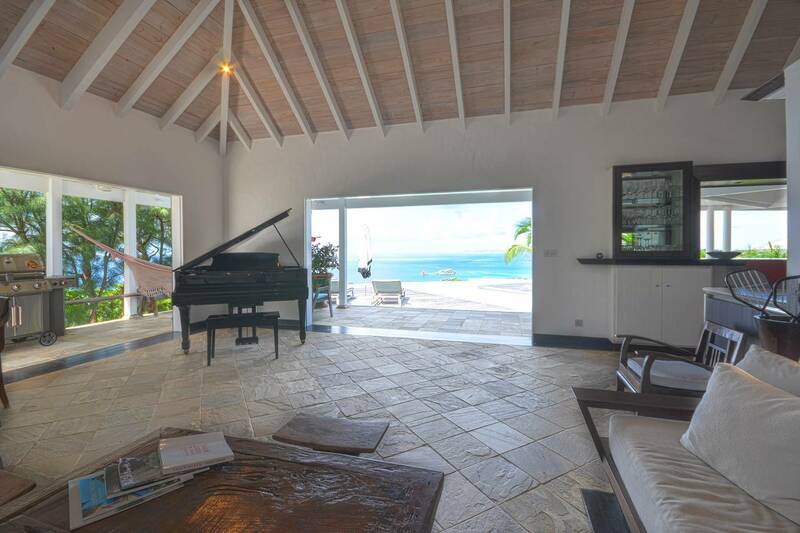 Location being everything, Villa Cygne is just minutes from Gustavia’s shops and restaurants and popular Shell Beach, and five minutes from pristine Gouverneur Beach. 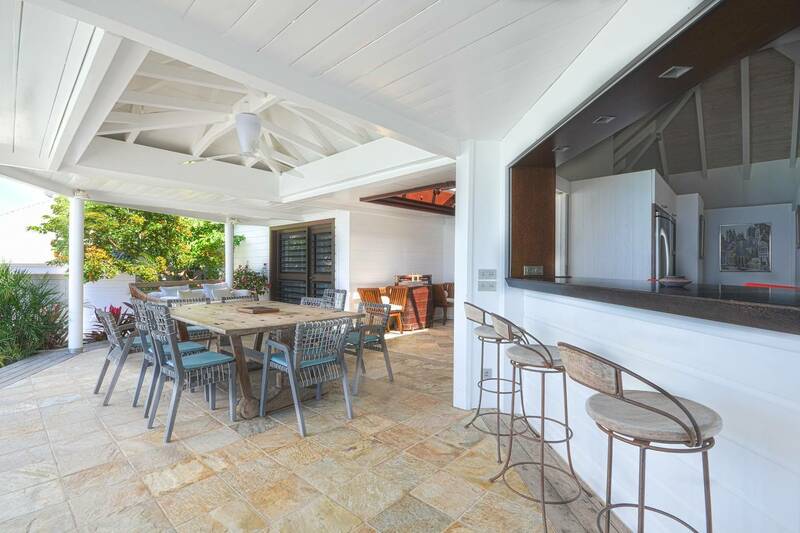 The poolside gazebo with its wet bar. 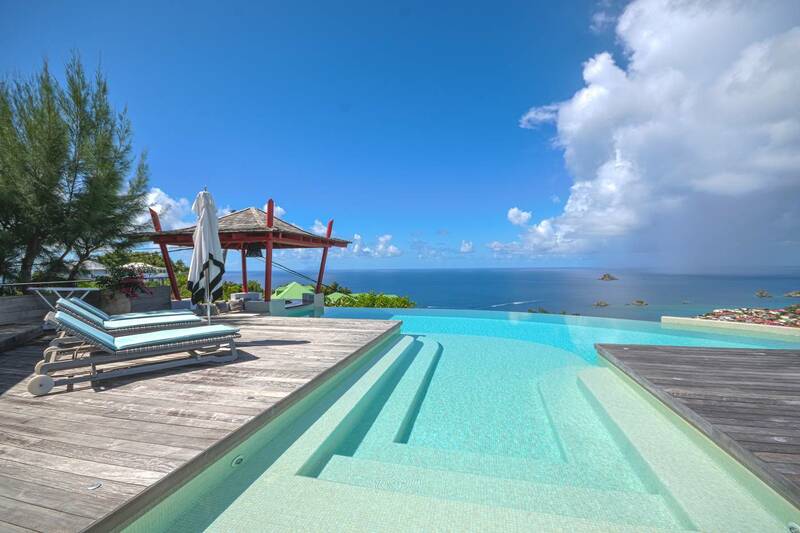 At the ready for sunset cocktails. 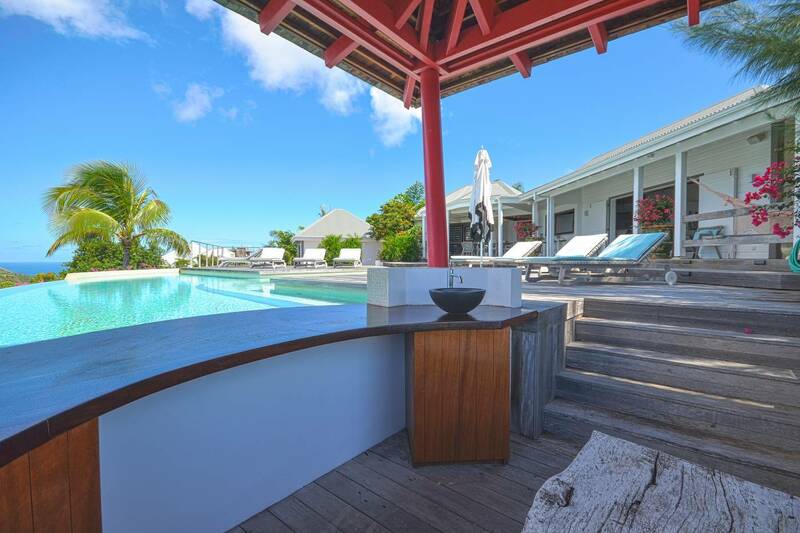 There's an amazing swimming pool, a protected deck for dining, a bells-and-whistles kitchen and a spacious living room.